Fishing has come to the Spiral, and it’s time to learn how to get started! 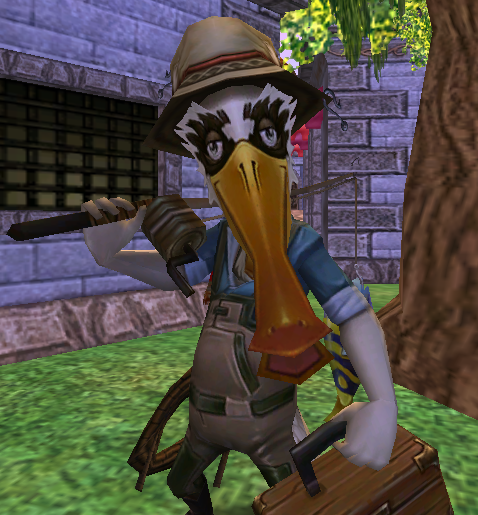 If your Wizard is level 7 or higher, speak to Lucky Hookline in The Commons to get a breakdown on how to fish. Still a bit confused on how everything works? Read on, and you’ll be an expert angler in no time! After you’ve accepted your first fishing quest from Lucky Hookline, he will give you the Lesser Ice Lure spell – Lure spells are needed in order to catch every type of fish. The Ice Lure that you’re automatically given is best when you’re trying to catch Ice fish, which is why the first two fish you have to catch are both Ice. You can train more Lure spells of different schools from Lucky Hookline, so remember to use the correct one depending on the type of fish that you’re trying to catch! You’ll know that you can fish in a pond when the fishing symbol appears. You’ll see it on the bottom right of your screen, below your tutorial tips and above your journal. When you click it, you’ll see a new menu appear with all your Fish Catching spells and Fishing Utility spells. Click on the Lure you want to use, and you’ll automatically throw it into the pond. Be sure that you are standing in a good position when you throw the Lure. The shadows of the fish in the pool tell you where they are, so try to aim for their heads. Only one fish can be attracted to a Lure at a time, so start by focusing on one fish. If you throw the Lure so that it’s close enough to the fish’s head (this may take a little practice, since the fish are constantly moving), you’ll see the orb start to move up and down. It will also say “Invoke Spell” instead of “Cancel Spell” at the bottom of your screen. Didn’t get the orb exactly where you want it? Pressing the spacebar or clicking the “Cancel Spell” button will allow you to recast your spell without wasting any of your energy. However, since the fish are moving, you could simply wait a few moments for the fish to swim up to your Lure – when it does, you’ll be all ready to reel in! This only means that the fish has noticed the Lure. It will eventually start bobbing up and down, where it may be slightly under the surface level of the water, but not completely. After this stage, you’ll soon find the orb to disappear under the water. In the picture below, make note of the splash the water makes when this happens – it’s pretty noticeable, so it shouldn’t be too difficult to identify when this happens. In order to reel the fish in, either press the spacebar or click the “Invoke Spell” button. If you did it right, you’ll see a fish come out of the water and be placed into your Fish Basket! If it didn’t work, however, do not be discouraged; sometimes you could do everything perfectly and the fish may still escape. If the fish does escape, you’ll see a hint of its school appear through a small flash of colored light. As you progress in your fishing journey, you’ll meet other NPCs who can provide you with other spells as well as crafting recipes. These new spells include higher rank Lures, but also Fishing Utility spells – you’ll soon be able to slow fish in a pond, reveal the school of fish so you know which Lure spell to use, as well as Summon more fish to an empty fishing hole. Keep an eye out in Northguard for a crafting vendor – you can make your very own aquariums to display your prized fish in your home. Don’t want to craft them? 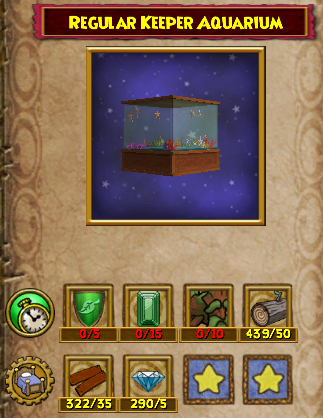 Buy an Aquarium Set from the Crown Shop – they’re only 750 Crowns each! If that doesn’t interest you, tapestries can be crafted using fish, including the Tapestry to the Bazaar. And, if you still don’t know what to do with your fish, you can simply sell them to any fishing vendor for gold. Selling your unwanted fish combined with the ability to catch chests filled with gold (and other unique loot!) will soon make fishing a very rewarding experience. Give it a try, and take a look around on our Fishing Database if you want to know any information about fishing.